Roy Kinnear will step down as chief executive of Air Seychelles in December. Staff at the Seychelles’ national carrier were informed of the resignation through a note from the chair of the carrier’s board, Jean Weeling-Lee, earlier. 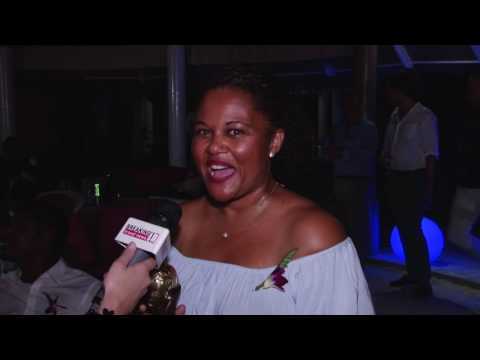 Breaking Travel News talks with Francisca Moonsammy, head of cabin operation, Air Seychelles, to discover how it feels to have been recognised by the World Travel Awards. 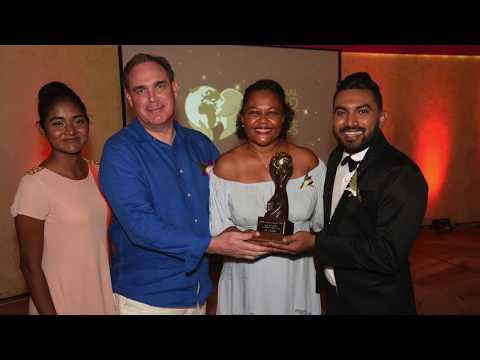 On a successful evening for the carrier, Air Seychelles was recognised with the titles of Indian Ocean’s Leading Airline, Indian Ocean’s Leading Airline - Business Class, Indian Ocean’s Leading Airline Brand, and Indian Ocean’s Leading Cabin Crew by the World Travel Awards. 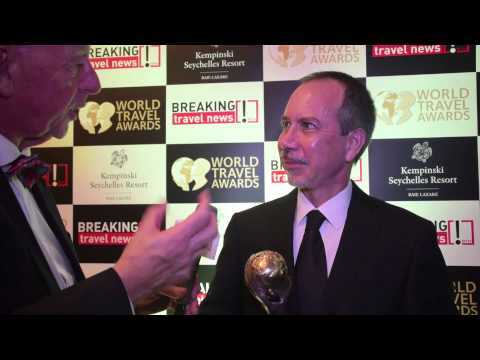 Here Breaking Travel News chats with Roy Kinnear, chief executive with the carrier, to find out what it meant to him and his team. 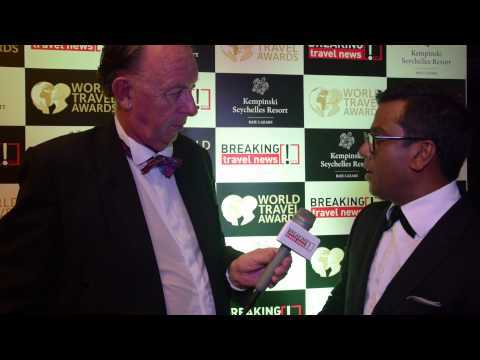 Recognised as the Indian Ocean’s Leading Airline by the World Travel Awards, Breaking Travel News here chats with Roy Kinnear, chief executive of Air Seychelles, about the importance of the title and how the carrier stays ahead of its rivals in the region. Air Seychelles will be introducing SITA’s state-of-the-art common-use passenger processing systems at Seychelles International Airport. This investment provides greater flexibility for international airlines operating from the airport by allowing them to share common-use terminal equipment for check-in and boarding. Air Seychelles has announced a major fleet and network expansion that will see the airline introduce a second Airbus A330 aircraft, commence non-stop services to Düsseldorf (Germany) and Durban (South Africa), and significantly strengthen its existing regional network in early 2017. The airline plans to establish the air bridge between Seychelles and Germany on March 30th, 2017, by launching a twice-per-week service to Düsseldorf, in western Germany. 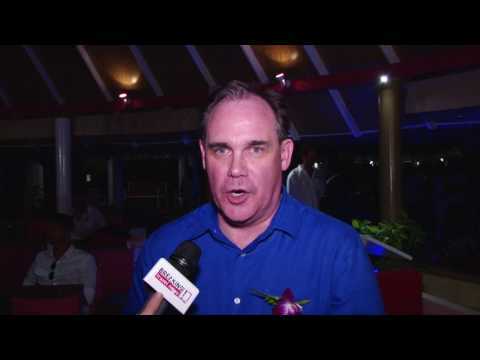 Air Seychelles has selected global technology provider, Sabre Corporation to provide a full suite of technology that will support the carrier’s global business as well as enhance its guest experience and revenue-generating capabilities. The agreement will see Air Seychelles move to SabreSonic, an integrated suite of applications that automates critical processes such as reservations, inventory, and departure control enabling a unique differentiated customer experience. Air France and Air Seychelles, the national airline of the Republic of Seychelles, have signed a landmark codeshare agreement to provide travellers with better connections between France, wider Europe, and the Seychelles. The agreement was signed by Roy Kinnear, chief executive of Air Seychelles, and Frédéric Gagey, chairman of Air France, and follows the establishment of a memorandum of understanding between the two airlines in April 2015. Air Seychelles has announced the appointment of Roy Kinnear to the position of chief executive, with effect from July 1st 2015. Kinnear joins Air Seychelles from strategic partner Etihad Airways, where he held the position of senior vice president, revenue management and planning, responsible for leading the airline’s revenue management, inventory control, pricing, and revenue forecasting. Air Seychelles and Air France have signed a memorandum of understanding, heralding a new era of commercial cooperation between the two carriers. The agreement was signed at a meeting in Aix en Provence in France between Joël Morgan, Seychelles minister of foreign affairs and transport and chairman of Air Seychelles, and Frédéric Gagey, chairman of Air France.